Mother’s day is around the corner and I hope you are not leaving the gift shopping for the last minute. Finding the right gift for mother’s day is not always an easy task. We often want something personal and thoughtful that sends a specific message, but after a few years a lot of creativity is needed for finding unique gifts that do not blow up your budget. If you find yourself in the same last minute situation you were last year on mother’s day, these gift ideas may just save mother’s day for you. 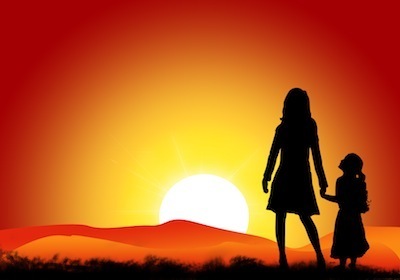 Gift of Time- Moms just want to spend time with their children so make it a Mother-Daughter/Son day, spend the whole day with her on her terms. Do the things she likes doing and give her the royal treatment. Home Video-Take your family videos and put together a short home video, a tribute to mom. This can be a little time consuming but can make a great frugal gift and she can enjoy it whenever she misses you. Although it may require a little effort, the process can be a lot of fun and the end result is often priceless. Mom Mix-Make a CD for her, a collection of all the songs that remind her of you and you growing up. You may have a song you used to sing when driving to school or going to bed, think back and you’ll be surprised with the result. Write a Letter-Write a letter instead of a card, write about all the good memories you have with her and all the things she has done for you. I don’t mean type,but rather handwritten note the old-fashioned way with a pen and paper. Flowers-Flowers can be tricky, you can easily spend a lot of money on it. if you have flowers in your garden or can handpick them this can be a great gift. Jewelry. Although not as frugal as the other options, you can almost never go wrong with jewelry. Remember it doesn’t have to be an expensive diamond ring and if you start looking early you can find great deals on jewelry for mothers day. Amazon often has good Jewelry items for mother’s day. Coupons-When I was younger my brother and I made a coupon booklet for my mother it included things like “Wash dishes for the day”, “Vacuum for the week” etc just chores around the house. You have to be prepared to honor the coupons at anytime otherwise it won’t work. Digital Photo show-Smilebox-You can upload photo’s and create nice slide shows. The basic service is free with Smilebox is free and can be sufficient. Manicure and/or Pedicure-Costs around $20-$30 and lasts for 2-3 weeks. Although, this may not be a very personal gift I am sure all mothers would appreciate a day of being pampered. Dinner-Make a frugal dinner and invite her over or you can surprise her and take it over to her house, just don’t leave a mess behind for her to clean up. Scrap Book-Put together a scrap book, here are some already made scrapbooks for a low price all you have to do is insert your pictures. What did you get your mother? Any other tips or ideas? The personal CD is a pretty clever idea. Especially given how easy it is to burn a big time CD, and crop a photoshopped cover image together as well! A very tailored idea for they with more time than money, using thought to count. @Aury I agree with all the programs available today all you need is find the songs. @Kevin…well said! Marketers have made it all about material gifts! The first suggestion, the gift of time, is a really good one especially if the kids are adults. There’s a bit of a disconnect between kids and parents when kids come of age, so making a generous allowance for some re-bonding time can go a long way. Somehow I think the time spent would be remembered more than fondly when the time comes that mom isn’t around anymore. Sometimes we emphasize material gifts as a way of avoiding spending time, but time is really the most important thing in all relatsionships. A handwritten letter?! On… paper?! What millennium is this? Why should anyone want to record information on dead trees? I don’t even understand why paper exists anymore. What’s next? Inscribing text on papyrus? Chiseling words into stone tablets? What’s wrong with a kiss on the cheek and tell her simply THANK YOU for a wonderful life. We owe our mothers our life. We must not forget that. Last year, my kids made a poster with “Happy Mother’s Day” greeting, which was the first thing I saw when I woke up. They also uploaded a video on my Facebook account. The video is actually a collection of my photos depicting me the different stages of life. It was really an overwhelming feeling. I always go with Flowers. You can always get flower deals on sites like Groupon or LivingSocial.